Mum body image. It is a thing. I have chatted to other Mum’s and it is a common theme but not many people talk about it openly. It is accepting your body and how it changes and looks after babies. I personally have struggled in the past and still occasionally struggle with my Mum body image – which I will talk about my own struggles in this blog. After having children one of the most difficult adjustments can be in accepting your post-baby body. 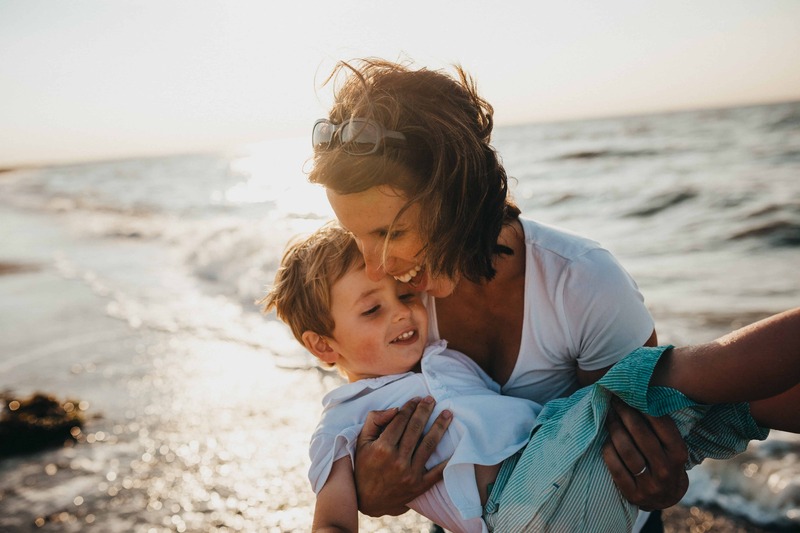 If you are struggling with your mum body image, check out our tips on a little bit of self-acceptance. When I was pregnant with my first baby, it was an easy pregnancy. Breastfeeding happened fairly easy – which for a first time Mum I was lucky. After my first pregnancy I lost most of my weight I had gained afterwards pretty easy. I had very few stretch marks and I was lucky to bounce back in pretty good shape. I was 28, was fit before I had my baby and was able to exercise when I wanted and needed as I had one child so I could take her with me or get hubby to watch her. How I was blessed. Fast forward a year and a bit I then fell pregnant with my twins. I was shocked to find out that I was having twins at 12 weeks! Yep I didn’t know the whole first trimester that I was having twins. Now for anyone that has not met me in person I am pretty short. I also don’t have a very big torso – so carrying twins, well I carried all out front – like a torpedo basically towards the end. My twin pregnancy itself even though classified high risk was fairly uneventful. I was extremely lucky to carry them to 36 weeks and 1 day! Which was pretty damn amazing since I had my first daughter at 37 weeks and 2 day. Also the fact my Ob had said to me at 28 weeks – slow down or you will have your babies early! The twin pregnancy did wreck havoc on my body though. Oh what our bodies endure to have babies. We are lucky though – many women struggle to have babies. I am always sadden to hear someone’s story when they have struggled with infertility. Some of my closest friends have been there with infertility. With my twin pregnancy my body was stretched beyond belief and also caused me to have muscle separation or otherwise known as Distatis Recti. 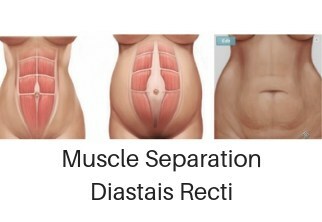 “Diastasis” means separation. “Recti” refers to your ab muscles called the “rectus abdominis.” When the ab muscles move aside like this, the uterus, bowels, and other organs have only a thin band of connective tissue in front to hold them in place. This condition is basically were your abdominal muscles are split apart – it happened to me because of the rapid growth and size I got too. After having the twins I had to go regularly to a physio specialising in Women’s health for over 18 months. Plus doing daily exercises to try and reduce the gap between my muscles (originally it was 4.5 cm). I was able to get the gap back to 2-2.5 cm. The main issue with Distasis Recti is that you can have health issues if not rectified. You can have your internal organs pop out or have a hernia in the gap area. It also makes you look “pregnant” as your muscles stick out and you have no core control. So for me, even though I lost a lot all my weight I put on during the twin pregnancy my ab muscles are still all over the place and stretched skin just does not disappear. While now even after my fourth baby (who is 2 years old now), I have lost a lot of my pregnancy weight my muscle separation increased again with the pregnancy and now I still look pregnant and my muscle gap grew wider again. You can read more here about identifying if you have Distatis Recti and how to improve things. I have learnt to simply reply “no I am not. I have four children. This tummy is leftover from my babies…..”. Some people can be so rude. They don’t think before they speak. What they say – they do not realise the hurt that happens inside. Long ago it used to hurt more. But time has healed and most days I can laugh off their comments. But not everyone can do that. Now you know my story and my own struggles with my Mum body image. Lets explore some more about Mum Body Image in general and some of our tips to self acceptance. There are several different stages of post-baby body. Your body in the days and weeks after giving birth is beautiful because of what it has been through. Our Mother bodies are AMAZING! But to you, it can look flabby, tired, stretched and just plain weird. You still look incredibly pregnant even though your baby is no longer in there. It is natural to feel unattractive at this stage. It is also natural to feel exhausted and to try to give yourself more time before you worry too much about getting your old body back. The next stage is around 4-6 months after having your baby. You may have lost some baby weight but are still kind of out of shape and are still showing especially around the belly. The pictures of Kardashians who got their bodies back within weeks of giving birth are really starting to make you feel down. The next stage is 12 months after you gave birth, and can last the rest of your life. Some women are fantastic at getting their pre-baby body back – but for some, it may never really happen. Especially if you have Muscle separation like I do. This just impacts further on your ability to get your body back into shape. It could be five years after you were last being pregnant, but still getting confused as an expectant mum because of your mummy tummy. In our world of 24-7 social media and the ability to post perfect, often edited and filtered, images anytime we can be given some difficult role models to live up to. We can easily get the impression that mothers and women have it all put together, and that we are the only ones who look less than perfect. Celebrities who get their bodies back after having their babies can be inspiring, but they can also put undue pressure on regular mums. You might think that you are one of the few who hasn’t got straight onto your exercise plan after giving birth, when the reality is you are definitely not alone. Being a Mum is a juggling act. Juggling the babies, the kids, the house, our daily life and somewhere in there trying to fit in exercise. It can be so hard and exhausting! There are many different products available now which claim to provide instant weight loss and a better body, but the only really good way to do it is to diet and exercise. Here are some things it may be helpful to remember when you take this road. 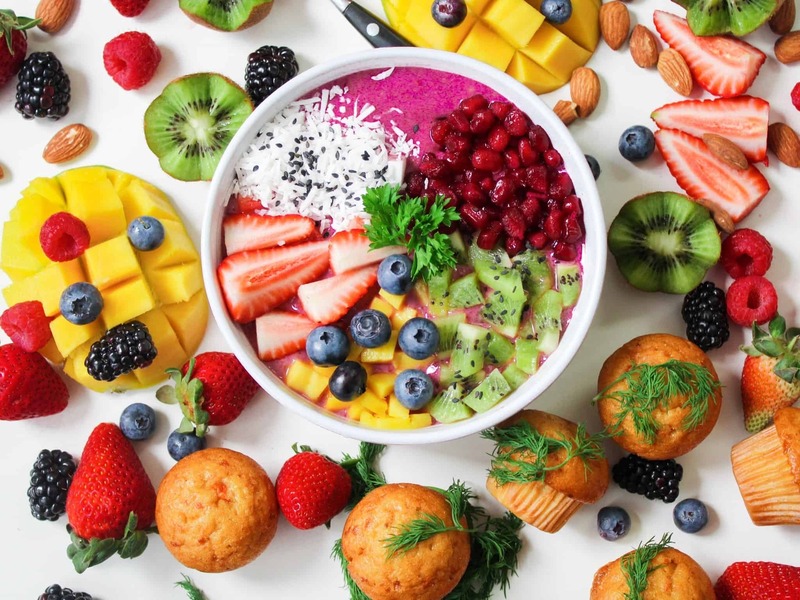 There are some fantastic diets out there, but most people find that only one really works for them, in terms of structure, their relationship with food and how it fits into their lifestyle. You might respond better to a diet that cuts out entire food groups, such as going sugar-free or Paleo. Other people respond better to reducing calories and quantity while still keeping all of the food groups. Some people are better with meal replacements, intermittent fasting, or with having ready meals prepared for them, which can take the stress out of cooking and planning. Other people prefer to cook for themselves and just create their own version of what works. If your current diet doesn’t fit your lifestyle and you are finding it hard to stick to, then it isn’t the right one for you. But you can find one that is, just keep searching. You may need a different exercise regime to the one that used to work for you before you had children. The old way may not fit in with having kids around, but there are plenty that do. It might be harder to stick to a gym membership for instance because there is less time and there always seems to be a reason not to go. You may need to add baby-friendly exercises in like walking, running or dancing around your lounge room. Your body has changed a bit since before you had kids, and similarly, your old exercise regime may not tone those new mum-bits. Target the parts of your body you want to work on with a new, specific program. 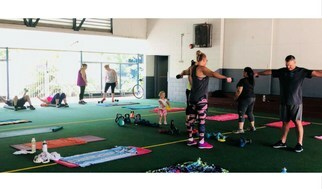 Tammy’s Fitness training offers boot camps and other fitness classes in Palmerston. Tammy also has nutrition and meal planning advice. Get in touch with her today to chat about your options. One of the main reasons why mums have so much trouble losing baby weight and getting their pre-pregnant body back is a lack of time to do it. Mums put their children and often everyone else first, so may not have time left to exercise. Sticking to a fitness plan requires you to be able to make yourself a priority. Schedule time to exercise and stick to it, no matter what else comes up. Tell yourself that this time focusing on you is as important as everything else. And believe it! This is more of a psychological shift than a physical one. If you make the decision to learn to love your new body instead of trying to return to an old one, you need to be able to change your mindset. Work on thinking of food as nourishment and fuel that gives you energy, rather than as good or bad, reward or punishment. Don’t diet and restrict yourself, but change the way you eat to include much more whole foods and ones that have been minimally processed. Eat food in moderation but don’t think of it as comfort food. Don’t punish yourself with things like fruit and salad, instead explore and discover new ways to make them fun and interesting. This is a great way to start teaching your children a healthy relationship with food as well. Get them involved with food preparation and you will have less fussy eaters too. Work on eating mindfully as well – slow down, sit down and appreciate each mouthful. Put your knife and fork down between mouthfuls and stop eating before you are full. You still need to get some exercise, this is good for your body and soul. Make exercise part of daily activity by just getting out with your kids. Do something different every day and make the newness and fun of it the focus, rather than thinking of it as exercise. Go for nature walks or scavenger hunts, play musical statues, long games of hide and seek, or get your child to suggest the activity. Your body has done some amazing things. Your partner and your children think you are the most beautiful woman in the world! They wouldn’t have you any other way, except happy in your own skin. Accept your belly, your stretchmarks, your post-breastfeeding breasts because of how wonderful and magical they are. Find clothes, jewellery, and accessories that you love and feel pretty in your new mum-body. Body image is a state of mind. We all know that mums can accomplish anything they put their minds to. Just rock it! Are you apart of our Community Hub? 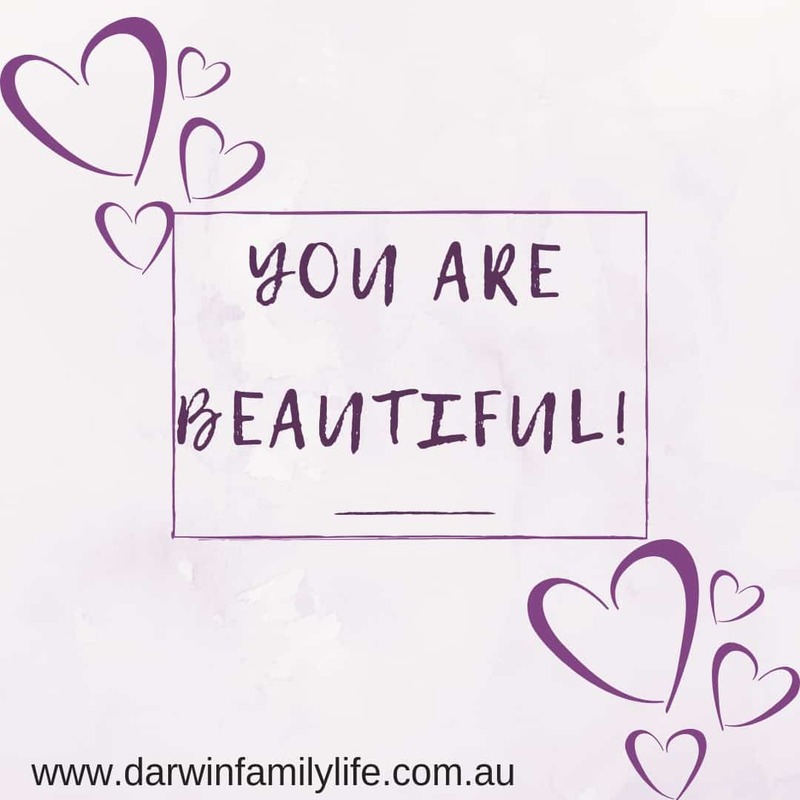 Head here to join our Closed Facebook group to connect with other Darwin Mums an chat about these topics and other parenting struggles and joys!